Are you sleeping well at night? Are you experiencing itchy eyes or a runny nose? Your mattress may be the culprit. According to the American College of Asthma, Allergy, and Immunology, a regular mattress may have anywhere from 100,000 to 10 million dust mites inside. They are not directly harmful, but their waste may trigger hay fever, watery eyes, runny nose, asthma, infantile eczema, and many other undesirable effects when it is inhaled or when in contact with the skin. Our team of technicians specialises in dust mite treatment for mattresses, providing you with the means to eradicate this pest. 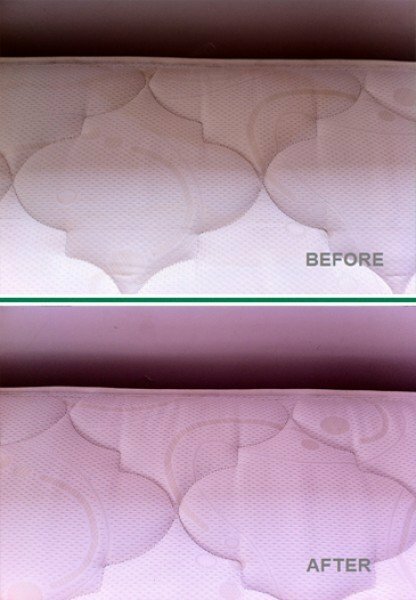 When it comes to efficient mattress cleaning and mattress stain removal, our expert services are always the ones to trust. Dust mites are tiny organisms that belong to the same class as spiders. Mattress sanitation is the best way to control their spread. Dust mites grow and multiply in a stable environment, although they are so tiny that they can barely be seen by the naked eye. They thrive on flakes of skin and moisture left behind by the body and found on mattresses and pillows. When you opt for our mattress cleaning Adelaide service, we can help you control dust mites before they negatively affect your health. 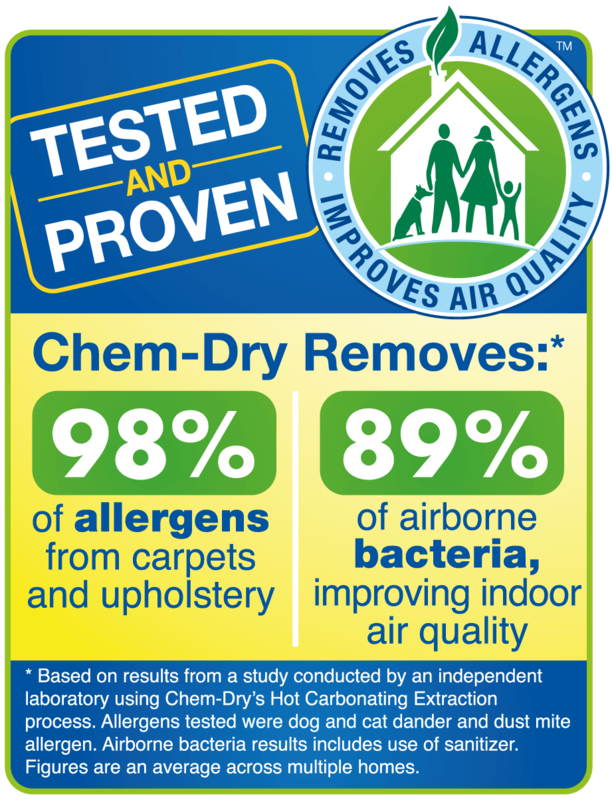 ✔ Helps control major causes of allergies, such as asthma. How Do Dust Mites Affect Human Health? 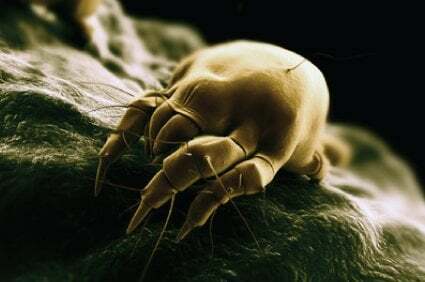 Dust mites are not parasitic and will not bite humans, nor do they burrow into the skin or live in skin follicles. However, enzymes in the gut of the mites persist in their waste residue, and these enzymes cause allergic reactions in humans. Symptoms caused by dust mite allergies include stuffy nose, respiratory problems and runny nose, sneezing, itchy and watery eyes, eczema, and asthma. However, proper mattress sanitation is very effective in controlling dust mite populations. In order to keep the population of dust mites under control, it is recommended that your mattresses be thoroughly cleaned by professionals once every 6 to 12 months. In case you are susceptible to asthma or severe allergies, it is recommended that you carry out this cleaning once every three months. It has been observed that both the frequency and severity of the allergy are reduced when mattresses and pillows are kept clean. Many people have reported that their dependence on anti-allergic medications dropped significantly after having their mattresses and pillows thoroughly and frequently cleaned by professionals. While it is impossible to eliminate dust mites completely from your home, it is possible to limit their population to levels where they will not cause allergic reactions. 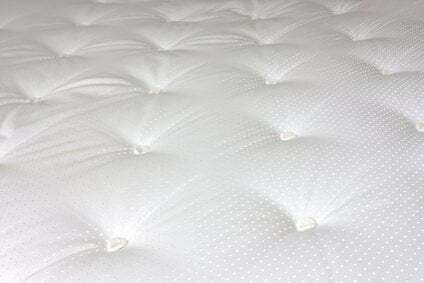 Mattress cleaning for dust mites is a very effective means of control. With our general cleaning you get a FREE application of our Dust Mite Anti-Allergen, an aqueous solution containing powerful active ingredients that are proven effective against household dust mites. Urine on a mattress creates an unhealthy environment and needs to be removed immediately before it turns alkaline. If left unattended, it can become a breeding ground for the growth of bacteria, permanently damaging your fabric. We use a technique called water claw sub-surface extraction, which requires the application of an oxidising deodoriser to the affected spot. This enables the cleaning agent to dig deep and extract the urine just like a ‘water claw’. It’s important to call us while the urine is still fresh so it doesn’t do any permanent damage. Stains happen! However, effective removal of bloodstains, urine stains, and other bodily fluids from all types of mattresses is essential. 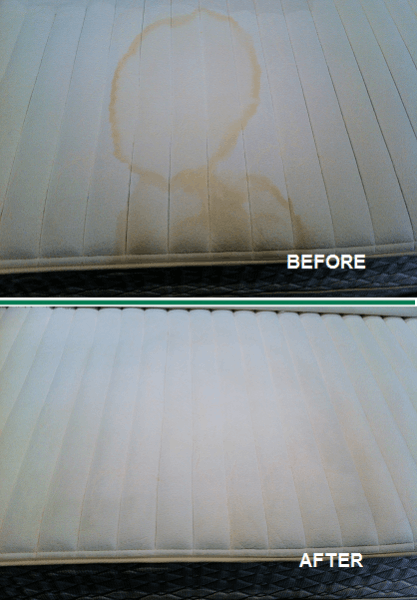 Be aware that the success of our treatment will also depend on various factors, including the age of your mattress, time before treatment, and other chemicals that may have previously been used in an attempt to remove the stain. Click below for your Instant Quote and get back to enjoying again a good night’s sleep.